Astronomical instruments are generally designed by a team of people with expertise in optics, optical design, mechanical engineering, electronics, software, control theory and other disciplines. The design process normally involves a lengthy period before a preliminary design is reviewed by the entire group. During this time, scientists simulate what the instrument will do, how well it will perform and what the requirements on the actual design will be. Discussions with people at the observatory also provide constraints on the design: things as simple as whether the instrument will fit through the observatory's door, to the exact specification of the beam that will be fed from the telescope to the instrument. The team generates a preliminary design, which is then reviewed, usually over a single day's meeting of the entire group, plus some additional scientists and engineers who are asked to be present in a consultory role. The preliminary design review (a.k.a. PDR) usually results in significant changes in the design. Problems are generally found during the PDR. These issues are rectified during a secondary design process, which can take months or even years in some instances. Ultimately a second design review is held, called the critical design review (CDR). At this point essentially every part of the instrument has been identified and vendors that can either build or supply those parts have been identified. If the critical design review reveals significant flaws in the instrument construction plan or design, another period of design revision ensues and another CDR will be scheduled. Upon passing CDR, the instrument construction starts. 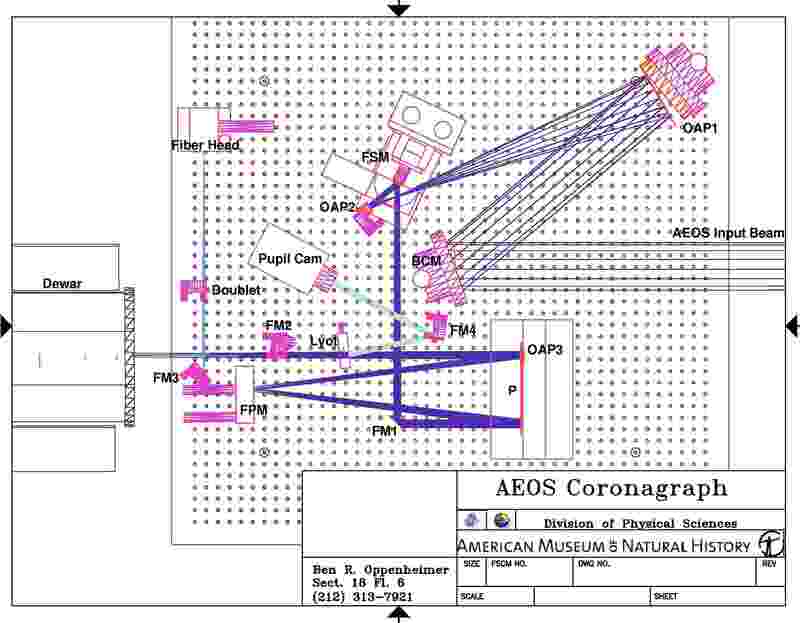 The Lyot Project coronagraph, which went through successful CDR in April 2002, represents the first true diffraction-limited coronagraph, and is optimized to take advantage of the high-order adaptive optics of the AEOS telescope. 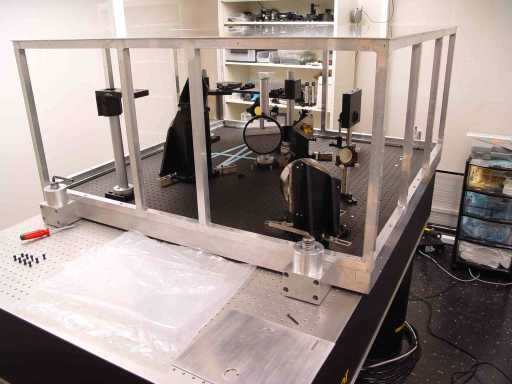 The instrument incorporates a number of novel coronagraphic features, including high speed image alignment and stability loops: both components which are critical to achieving the level of contrast necessary for imaging exoplanets and dust disks. The images below show the opto-mechanical design of the Lyot Project coronagraph, both from a top-down view and a three-dimensional perpective. The entire corongraph assembly fits on a 4 x 4 foot "breadboard", fitted to an optical bench that keeps the surface horizontal, and enlosed in a sealed aluminium enclosure to prevent air currents from affecting the propagation of light through the instrument. 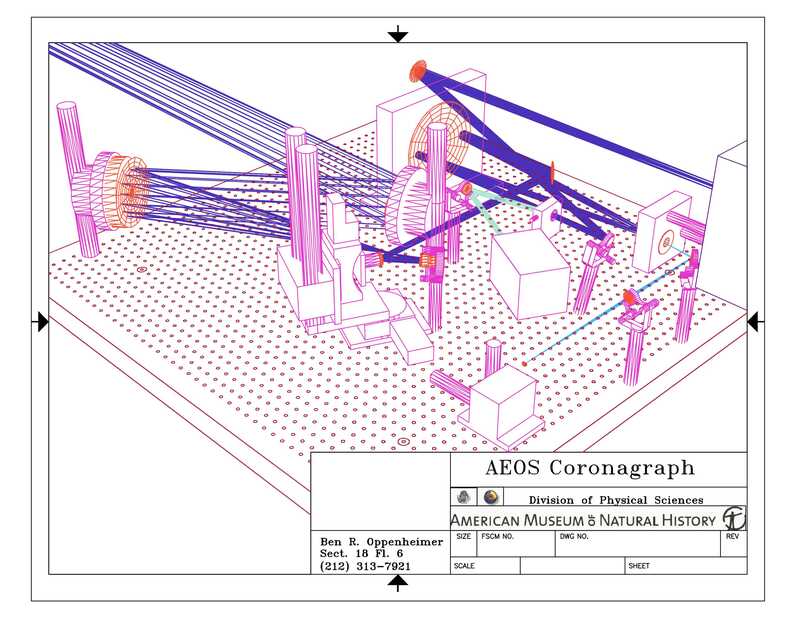 Figure 1: The Lyot Project coronagraph under construction at the American Museum of Natural History in New York. 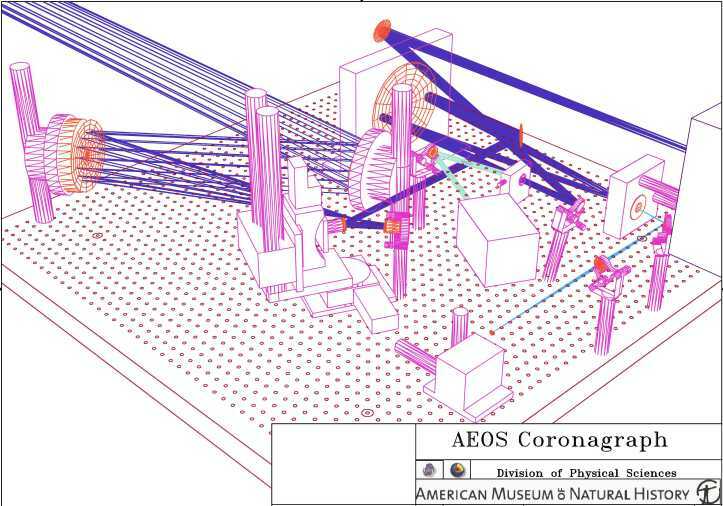 The 4.1-inch beam from the AEOS telescope enters the instrument from the right of Figure 2. The beam is indicated by the dark blue rays that trace the light path through this drawing. The beam first impinges upon the beam capture mirror (BCM), a 6-inch flat mirror that directs the beam to the subsequent optics. The off-axis parabolae (OAP1 and OAP2) are two custom, gold-surfaced mirrors (built by Axsys Technologies) which serve to compress the large AEOS beam to more manageable 10.48mm diameter. The Fast Steering Mirror (FSM) is the first stage of the instrument's tip-tilt loop, allowing the star to be placed with great accuracy on the coronagraphic occulting disk (see the section on Coronagraphy), which is marked FPM (for focal plane mask) in the drawing. 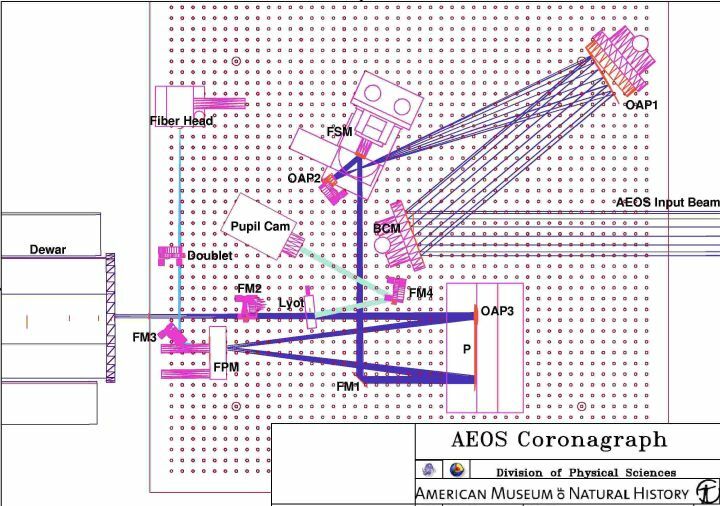 The optical design may seem complex, but the principal purpose in using so many reflections is to create the image and pupil planes that are required for a coronagraph. The Lyot stop is marked Lyot in Figure 2. After the Lyot stop, the beam is reflected upward onto a final focusing element called OAP3, which reflects the light into the Kermit Camera (Dewar). Kermit, itself was constructed with a similar PDR/CDR process. More about Kermit is available at the Kermit web page.